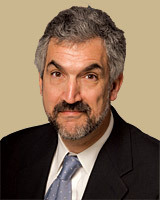 Daniel Pipes, founder and head of the Philadelphia-based Middle East Forum (MEF), is an outspoken proponent of militarist U.S. foreign policies in the Middle East who is frequently criticized for espousing anti-Islamic views. A recognized Arabic-language expert and son of the well-known anti-communist crusader Richard Pipes, the younger Pipes frequently lambasts Arab politics, urges militarist policies aimed at overthrowing Mideast regimes, and pushes a hawkish “pro-Israel” agenda. Perhaps anticipating criticism that he was essentially advocating a course of ensuring maximum suffering for the people of Syria, Pipes added that “Westerners must be true to their morals and help bring an end to the warfare against civilians, the millions of innocents gratuitously suffering the horrors of civil war,” including by threatening the “use of force against violators on either side” if necessary. Describing Pipes’ proposal as “repugnant,” Think Progress blogger Zack Beauchamp poked holes in Pipes’ comparison to World War II, in which Pipes wrote that the U.S. alliance with Stalin was justifiable in the fight against Nazi Germany. “As a cursory survey of knowledge of World War II history would admit,” Beauchamp wrote, “the Allies ultimately supported the Soviets in an attempt to totally defeat the Nazis. Pipes’ favored policy would be more like supporting Stalin until it looked like he was going to win, and then extending Lend-Lease to Hitler so the war would keep going.” Beauchamp posited that Pipes’ proposal “can perhaps be explained by his background” as an anti-Islamic agitator. Amnesty International and other international human rights organizations have accused Israel of committing war crimes during the conflict, in which 2,100 Palestinians died, the majority of which were civilians (including hundreds of children). Although Canary is similar to MEF projects like Campus Watch, MEF along with other hawkish project “pro-Israel” like the David Horowitz Freedom Center have denied any affiliation with Canary. Pipes has backed numerous high-profile neoconservative and Likud-aligned initiatives. He supported efforts by the now-defunct Project for the New American Century (PNAC) to pressure the George W. Bush administration to join Israel in waging a broad war on terrorism in the Middle East in the wake of the 9/11 attacks. He has also been a member of the presidium of the Likud-aligned Jerusalem Summit, a member of the U.S. Committee for a Free Lebanon, and a scholar at the Washington Institute for Near East Policy, a think tank that was spun off from the powerful lobbying group the American Israel Public Affairs Committee (AIPAC). Among the signatories to this MEF report were several future Bush administration figures, including Elliott Abrams , Douglas Feith , Michael Rubin , David Wurmser , and Under Secretary of State for Global Affairs Paula Dobriansky . Other signers included Richard Perle , Jeane Kirkpatrick , Michael Ledeen , and Frank Gaffney . When congressional figures and media pundits expressed outrage over Bush’s nomination of Pipes to the USIP, Pipes’ friends in the neoconservative community quickly came to his defense. Washington Post columnist Charles Krauthammer wrote that the “attack on Pipes” was nothing but “another symptom of the absurd political correctness surrounding Islamic radicalism.” Following strong opposition from Democratic senators, President Bush bypassed the Senate and gave Pipes a recess appointment. The CIP was purportedly created to fight back against the influence of the Wahabi movement—a very conservative strain of Islam—in the United States. It proposes to get rid of the monopoly that the “Wahabi lobby” supposedly has on Washington. This lobby includes, according to CIP, the Council on American-Islamic Relations (CAIR), the Islamic Society of North America, the North American Islamic Trust, the Muslim Students’ Association of the United States and Canada, and the Muslim Public Affairs Council. Some scholars view these as independent, not Wahhabist, organizations. Other organizations targeted by CIP include more secular groups, such as the Arab-American Institute and the American Arab Anti-Discrimination Committee. However, some associates of CIP expressed concern when queried about the various groups to be targeted by the new organization. Ali al-Ahmed, who was named as CIP’s first director of research, told the Inter Press Service that although he supported the group’s goals, he was surprised at the list of organizations to be scrutinized by CIP because several of the “Wahhabi lobby” groups were in fact independent. Pipes’ personal website, DanielPipes.org, often attacks Islamic figures and organizations. It posts his publications, which frequently appear in the pages of rightist outlets like the New York Sun and FrontPageMagazine.com, which is a project of David Horowitz’s Freedom Center. DanielPipes.org also hosts Pipes’ weblog, where he discusses issues such as the potential for war between Israel and Syria and the potentially unhappy consequences for Israel of Arab demographic growth. In May 2006, Pipes received the “Guardian of Zion” award, given annually to a prominent supporter of the state of Israel by the Rennert Center for Jerusalem Studies at Bar-Ilan University in Israel. A non-exhaustive Right Web investigation of MEF’s Form 990 tax records from 2000-2009 shows that the organization’s coffers have been replete with funds from foundations identified by CAP as the top funders of the Islamophobia network. During this period, MEF received at least $325,000 from the Russell Berrie Foundation, $240,000 from the Lynde and Harry Bradley Foundation, $200,000 from the Newton and Rochelle Becker Charitable Trust, and over $2 million from both the Donors Capital Fund and the William Rosenwald Family Fund. All told, Right Web identified at least $8,801,450 raised by MEF in this period, primarily coming from pro-Israel organizations and other right-wing outfits. (See our findings here). Daniel Pipes, ” The Case for Supporting Assad,” National Review Online, April 12, 2013, http://www.nationalreview.com/articles/345338/case-supporting-assad-daniel-pipes. Zack Beauchamp, ” Column In Top Conservative Publication Says U.S. Should Help Assad Fight Syrian Rebels,” Think Progress, April 12, 2013,http://thinkprogress.org/security/2013/04/12/1857601/column-in-top-conservative-publication-says-us-should-help-assad-slaughter-syrians/. Daniel Pipes, “Sorry Mr. President, ISIS Is 100 Percent Islamic,” National Review, September 10, 2014, http://www.nationalreview.com/corner/387675/sorry-mr-president-isis-100-percent-islamic-daniel-pipes. Daniel Pipes, “Return of the Caliphate,” National Post, August 12, 2014, http://fullcomment.nationalpost.com/2014/08/12/daniel-pipes-return-of-the-caliphate/. Daniel Pipes, “Lessons of the War in Gaza,” Townhall, August 10, 2014, http://townhall.com/columnists/danielpipes/2014/08/10/lessons-of-the-war-in-gaza-n1877069/page/full. Guardian, “Israel accused of war crimes during campaign in Gaza,” November 5, 2014, http://www.theguardian.com/world/2014/nov/05/israel-accused-war-crimes-gaza–amnesty-international. Josh Nathan-Kazis, “Shadowy Web Site Creates Blacklist of Pro-Palestinian Activists,” Forward, May 27, 2015, http://forward.com/news/308902/shadowy-web-site-creates-black-list-of-pro-palestinian-activists/. Daniel Pipes, “Could the Iran Deal Be the Worst International Accord of All Time?” National Review, July 14, 2015,http://www.nationalreview.com/article/421151/iran-nuclear-deal-catastrophe. Daniel Pipes, “The One-Minute Guide to Obama’s Foreign Policy,” National Review, October 13, 2015, http://www.nationalreview.com/corner/425516/one-minute-guide-obamas-foreign-policy-daniel-pipes?target=author&tid=900923. Politichicks, “Daniel Pipes: “The Left is the biggest threat to the United States,” July 9, 2015, http://politichicks.com/2015/07/daniel-pipes-the-left-is-the-biggest-threat-to-the-united-states/. Daniel Pipes, “Anders Behring Breivik, the Left, and Me,” DanielPipes.org, July 30, 2011,http://www.danielpipes.org/blog/2011/07/anders-behring-breivik-the-left-and-me#latest. Eli Clifton, “CHART: Oslo Terrorist’s Manifesto Cited Many Islamophobic Bloggers And Pundits,” Think Progress, July 25, 2011,http://thinkprogress.org/security/2011/07/25/278677/islamophobic-right-wing-blogger-breivi/. Mark Engler, “Hawks Say the Darndest Things,” TomPaine.com, July 10, 2003. “Jihad in Jersey: A Garden State Reminder that We’re at War,” Symposium, National Review Online, May 9, 2007. Daniel Pipes, “Why I Stand with Geert Wilders,” National Review, January 19, 2010, http://article.nationalreview.com/421544/why-i-stand-with-geert-wilders/daniel-pipes. 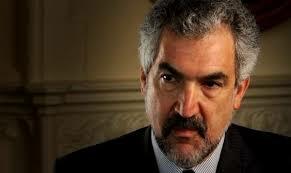 Eli Clifton, “Daniel Pipes Steps Out Of The Closet… As An Islamophobe,” Inter Press Service blog, Lobelog.com, January 19, 2010,http://www.lobelog.com/?p=457#more-457. Michelle Boorstein, “Controversial Islam scholar says he’s now in the middle,” Washington Post, “On Faith,” August 18, 2010,http://newsweek.washingtonpost.com/onfaith/undergod/2010/08/once_considered_anti-islam_senior_scholar_says_hes_now_in_the_middle.html. Jeff Jacoby, “Pipe’s Effective Path to Peace,” Boston Globe, June 22, 2003. Daniel Pipes and Ziad Abdelnour, “Ending Syria’s Occupation of Lebanon: The U.S. Role?” Middle East Forum, 2000. Jim Lobe, ” ‘Anti-Islamist’ Crusade Gets Organized,” Right Web Analysis, International Relations Center, March 3, 2005. Center for Islamic Pluralism, http://www.islamicpluralism.org/. Jim Lobe, “Anti-Islamic Crusader Plants New Seeds,” Inter Press Service, February 24, 2005. Ruthie Blum, “I’m Frustrated Israelis Don’t Get to the Point,” Jerusalem Post, June 8, 2006. Joel Benin, “The Israelization of American Middle East Policy Discourse,” Department of History, Stanford University, Undated,http://www.stanford.edu/~beinin/Israelization.html.